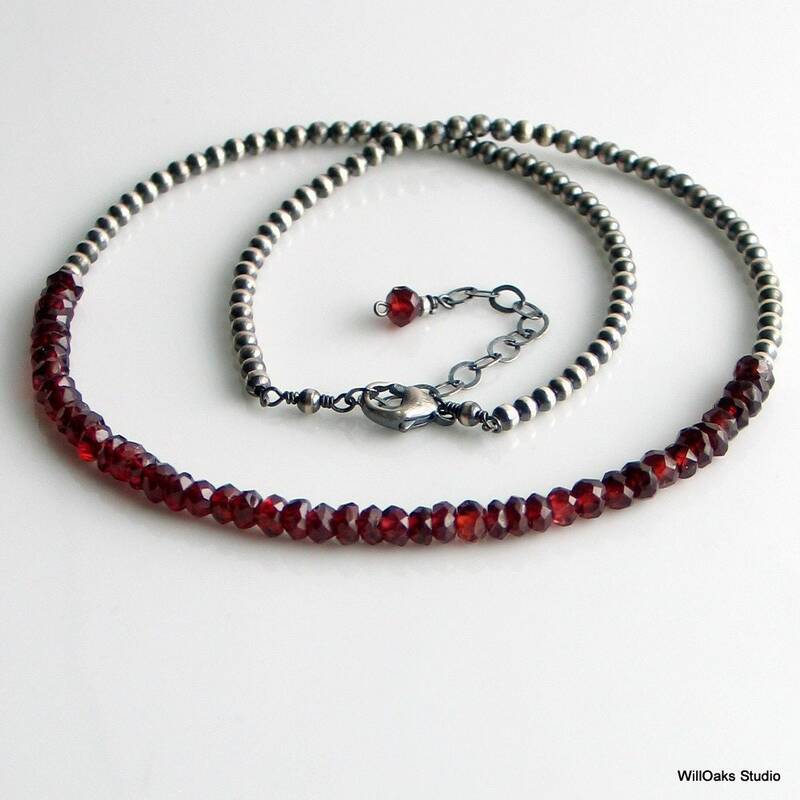 A simple, elegant red garnet necklace that features 5 inches of faceted, dark red garnets flanked by a light and dark sterling silver beaded chain. Hand oxidized silver is selectively buffed to create my unique silver beaded "chain" which adjusts this necklace from 16 1/2" to 18 1/2" long, closing with a sterling lobster claw and an extension chain. 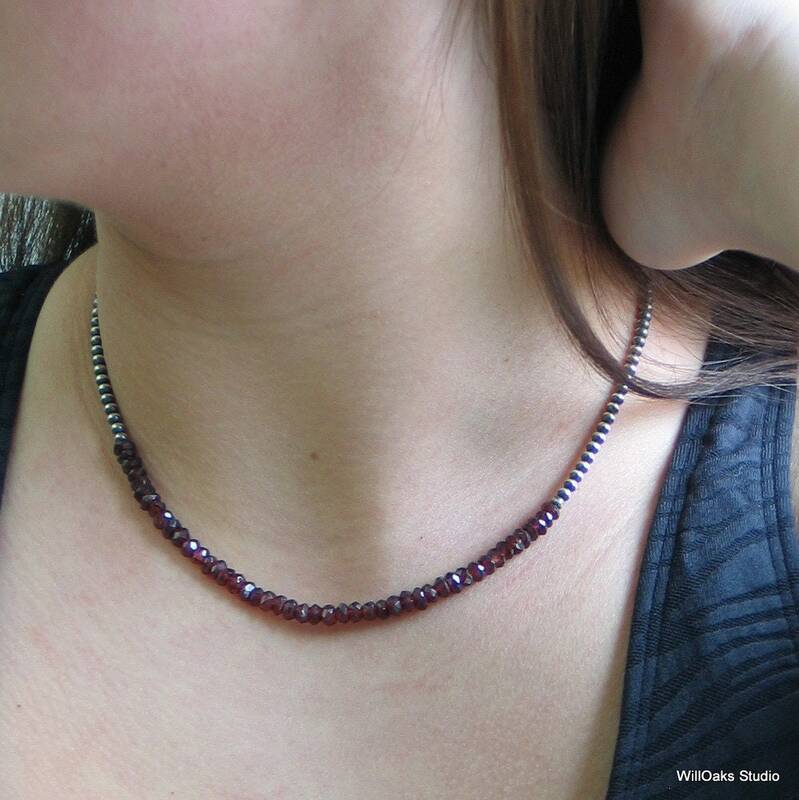 A final garnet dangles from the end of the extender. Perfect for January birthdays, for true love, for women who love red, to cross seasons and to layer with fashion trends. 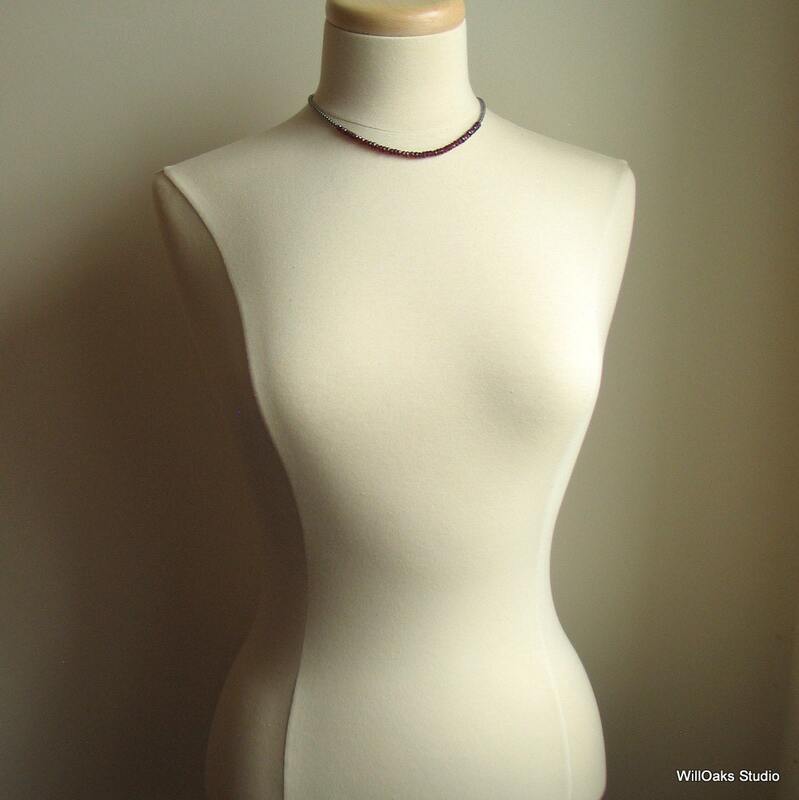 This demure, very comfortable design works well with many different necklines and the facets do create sparkle when they capture light. A perfect accessory for cross season fashion! An unforgettable valentine gift that will become a family heirloom. 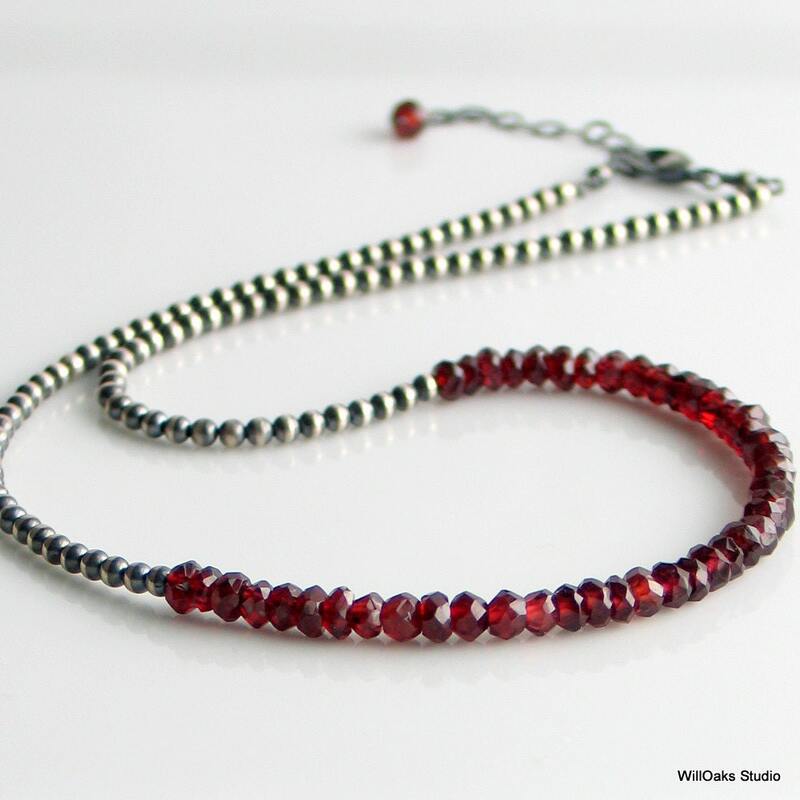 Perfect for those who love garnets. All WillOaks Studio necklaces are carefully packaged in my signature box, all ready to give or to keep. 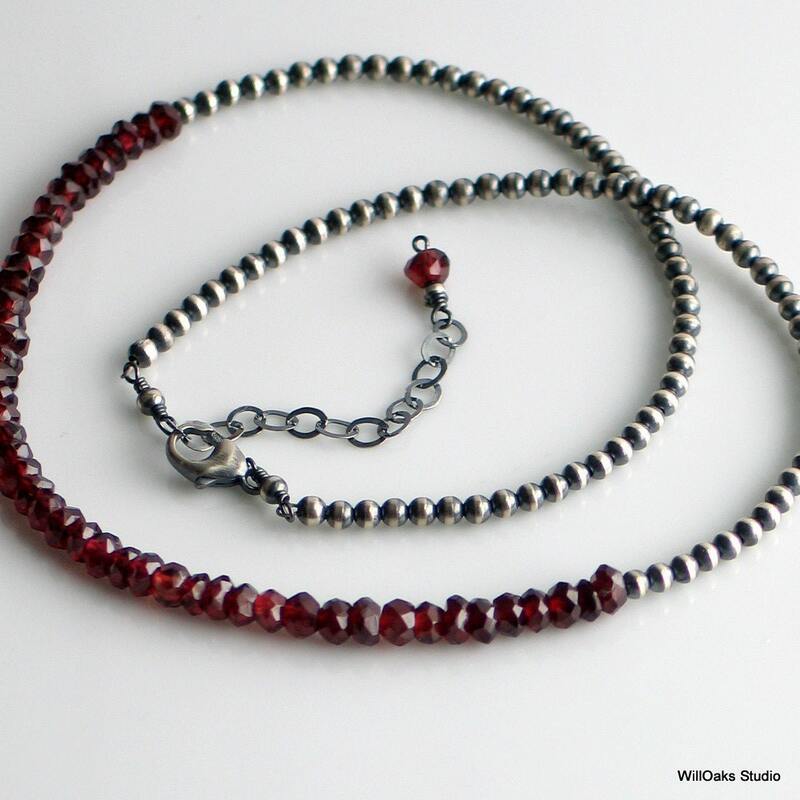 I love garnets and this necklace is super beautiful! This is SUCH a beautiful, delicate necklace. The perfect gift for my mum-thanx againandagainandagain!!!!!! !